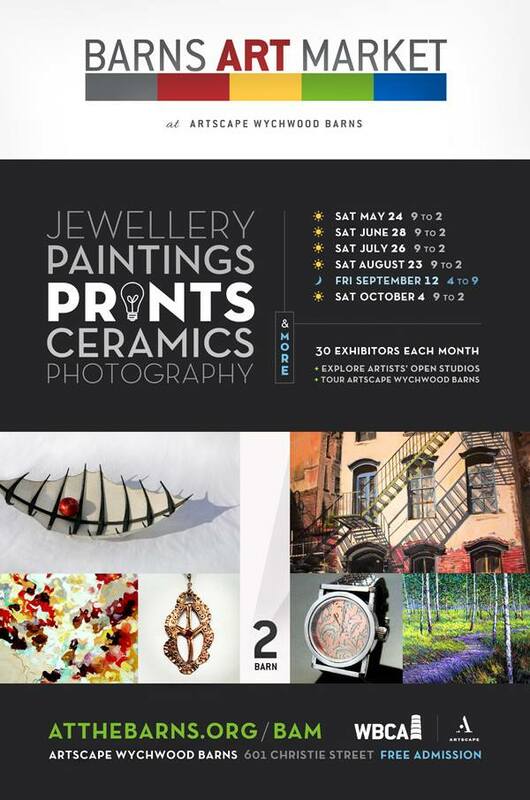 I’m happy to announce that I will have a booth at the Barns Art Market this Saturday, May 24. It will take place during the Farmer’s Market at the Wychwood Barns from 9AM to 2PM. It also happens to fall on Doors Open, one of my favourite Toronto events! Details above. For your information, I have made mini prints of some of my artwork, 18 in total. I’m REALLY happy with the results. They are printed with archival inks, on museum quality paper. I mounted them on wood panels (6″ X 6″ and 5″ X 7″) with brightly painted sides. They look fabulous! I’ll be selling them at the Barns Art Market for only $25 each. A real bargoon! I’ll be uploading images to my website soon. Also, I am super excited about my brand new solo show coming up at the Runnymede Library: Meditations & Beautiful Distractions. 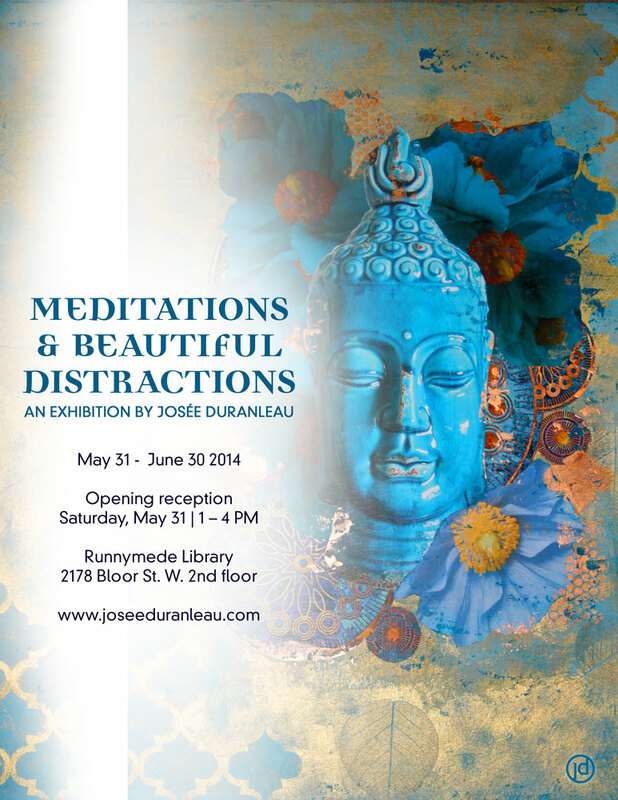 The opening is on Saturday, May 31 from 1-4 PM,hopefully you can drop by and say hello. The exhibit runs to June 30. Details below. Thanks so much for your continued support, I look forward to seeing soon, au plaisir de vous voir bientôt!